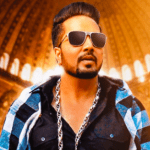 Mika Singh is a very popular singer in Bollywood. He wins the hearts of people not through the lyrics but through his voice. All Mika Singh songs carry his heavy voice in such a manner that it creates an amazing party aura. And did you know that he is the brother of Daler Mehndi? Daler Mehndi is an extremely popular singer of Punjab. Mika Singh took it up by 1 notch and became a household name in Bollywood. All the Mika songs have been superhit party anthems, like Hawa Hawa, Aaj Ki Party, Jumme Ki Raat and many more. Mika Singh releases new song occasionally. But whenever he releases, people go gaga for it. And so, BOTY has prepared for you all the Mika Singh songs list, where you can browse and play your favorite number any time you like. We hope you enjoyed listening to all Mika Singh Songs List. We will keep updating this list with his new song whenever it releases. Mika Singh is a man of strong personality. Due to that, he has been in controversies many times. For example, he made headlines when he kissed Rakhi Sawant in public. He was even slapped for that. And due to that, Rakhi rose to fame very quickly. In addition to that, Mika even made headlines when he claimed on Twitter that he was kissed by Bipasha Basu. Later he accepted that the kiss was given by Dadi on the sets of Comedy Nights with Kapil. But all these controversies did not affect the love of people for Mika Singh's songs. People still enjoy listening to his music. And we hope it remains the same always.